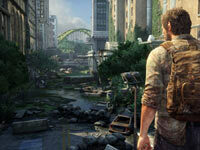 The Last of Us is a third-person Survival-Action game and PlayStation 3 exclusive featuring a unique character action driven storyline focused on the unlikely pairing of a young girl and a hardened scavenger in a post-apocalyptic gameworld. 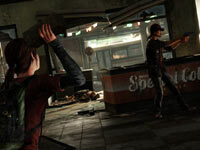 The game utilizes multiple gameplay mechanics, including "Dynamic Stealth," allowing differing possible strategies and techniques in conflicts, resulting in different possible outcomes. Additional game features include AI that adapts to choices and situations, a variety of enemies, a live inventory system, and beautiful graphics. Diverse Survival-Action gameplay in which story development and the bond between characters is choice dependent. The Last of Us is a third-person Survival-Action game that utilizes choices in gameplay action to develop the game storyline, as well as the relationship between the two main characters, Joel and Ellie. The game features a combination of combat, exploration, stealth and platforming game mechanics. Although Joel and Ellie are both residents of a post-apocalyptic world, they have had different experiences that affect the way they see the world around them, and feel about what they see and do. 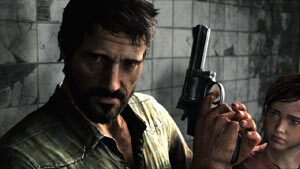 Joel had a life before the pandemic, while the world of the pandemic is all that Ellie has ever known. 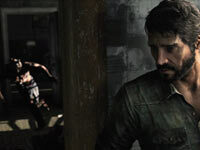 As part of Joel's job to smuggle Ellie out of the quarantine zone, players have to make choices in how they deal with enemies, which include, roving gangs of human scavengers not unlike themselves, military elements and infected civilians. 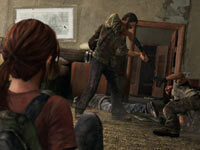 Player also have opportunity to together interact with elements of the world around them, which helps to build the bond between Joel and Ellie. Resources in the game are scarce, making overwhelming use of firepower unlikely and unwise in conflicts, and resource gathering missions. In addition, most other residents of the ruined world that are encountered are just trying to survive - blurring the line between good guys and bad guys. Finally, game AI react differently depending on the specifics of the player's actions, making choice in gameplay a major consideration. Choice & consequence of actions. Survive a variety of dangers. AI that adapts to situations.